Sunburn at any age is no fun. 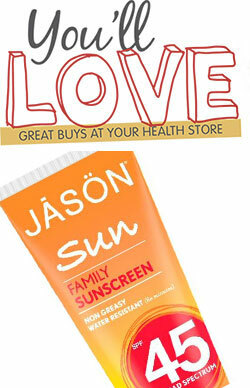 JASON Family Sunscreen with SPF45 offers broad spectrum UVA and UVB protection, is long-lasting, non- greasy and has a water resistant formula. Enriched with Vitamin E, Shea Butter and antioxidant Green Tea Extract to nurture and moisturise the skin whilst also shielding skin against oxidative stress. What else? The Jason sun care range is vegan and BUAV certified cruelty free.